In an article advising Americans how to protect themselves against mosquitoes, ticks and other disease-carrying bugs, the Centers for Disease Control and Prevention recommends five effective repellents. Four of them are synthetic chemicals. The fifth, which the agency calls a “biopesticide,” is the all natural oil of Lemon Eucalyptus. 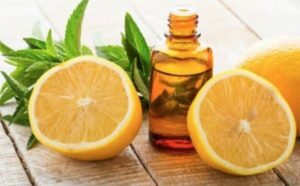 The oil, derived from the leaves of a lemon eucalyptus tree, is found in the “natural” versions of many name-brand mosquito repellents such as Repel and Off Botanicals and is sold by itself as an essential oil , which can be mixed into homemade bug repellents. 1. Common side effects. A study of Everglades National Park employees in the late 1980s found that one in four experienced negative health effects after applying DEET. Effects included rashes, skin irritation, numb or burning lips, nausea, headaches, dizziness, and difficulty concentrating. 2. It’s becoming less effective. DEET isn’t as effective as it once was, as mosquitoes are developing resistance to it. A landmark study recently revealed that while the insects are initially repelled by it, they ignore it if they’re exposed to it again. Earlier research showed some mosquitoes had developed genetic immunity to the substance, but this study found they could develop resistance to DEET after just a few hours. 3. Serious harm to children. In children, the most frequently reported symptoms of DEET toxicity reported to poison control centers including headaches, tremors, lethargy, seizures, involuntary movements, and convulsions. Canada’s federal health department states no child under six months old should be using DEET, and that those who are six months through 12 years old should avoid products that contain more than 10 percent DEET. 4. DNA damage. A Duke University study found frequent and prolonged DEET exposure led to diffuse brain cell death and behavioral changes. The experts concluded that humans should stay away from products containing it. 5. Nervous system damage. A French study found DEET can interfere with enzymes crucial for nervous system function. 6. Environmental harm. A recent U.S. Geological Survey report on water contaminants listed DEET as one of the substances most frequently found in America’s streams. The EPA regards DEET as “slightly toxic” to birds, fish, and aquatic invertebrates. In high concentrations, it can be extremely toxic to insects and fish. Mix the ingredients together in your glass spray bottle. Apply to clothes and exposed skin. Be careful to not spray in eyes. From the CDC article: “Pure” oil of lemon eucalyptus (essential oil not formulated as a repellent) is not recommended; it has not undergone similar, validated testing for safety and efficacy and is not registered with EPA as an insect repellent.